Electric cars are the future, whether you like it or not, though if they are our future they’re going to need to get a lot better than they are today. The batteries, in particular, aren’t good enough, the latest confirmation of this coming in a AAA study released today. 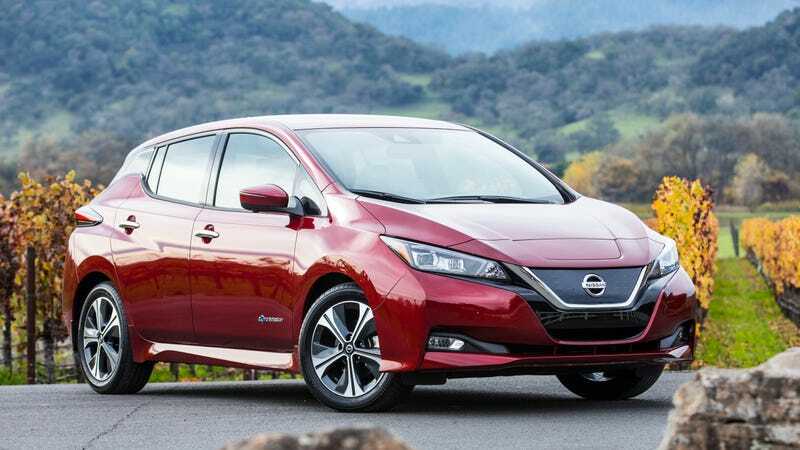 Electric cars’ range falls by nearly half on average in temperatures under 20 degrees, according to the study, a number big enough to spook some buyers I’d think. All of this isn’t really the kind of thing manufacturers like to talk about, or the kind of thing the EPA considers in its range estimates, which generally are tested without the HVAC system fully-engaged. But they are the kind of thing that consumers should consider, especially those in the market for an electric car. Internal combustion engine cars draw heat from the engine, of course, but in an electric car, there’s only a finite amount of power in the batteries, meaning by definition if you’re using some of it to keep the cabin warm you’ll be taking power away from making the car go. The first test on the left was designed to replicate urban driving, while the middle two were highway driving, and the last is combined. The urban driving range completely falls off a cliff when the heat is on, dropping to a paltry 56 miles. Based on real-world data from our fleet, which includes millions of long trips taken by real Model S customers, we know with certainty that, even when using heating and air conditioning, the average Model S customer doesn’t experience anywhere near that decrease in range at 20 degrees Fahrenheit, and the decrease in range at 95 degrees Fahrenheit is roughly 1%. I can’t quite parse that, but maybe you can. I emailed a Tesla spokesperson for clarification, and I have not received a call back. Emails to Chevy, Nissan, and BMW have gone unreturned. An email to Volkswagen was returned, but not with an official response. Anyway, the results for all the cars weren’t dissimilar to the topline; you can see those results and read the whole study here. E-Golf owners have the ability, through the Car-Net app, to pre-heat or pre-cool their cars, which means that for a normal commute, the AC range variation is not an issue, especially if, in cold climates, you then use things like seat heaters and screen heaters. The other thing we would add is that ICE engines also suffer a mileage decrease in cold weather based on the laws of thermodynamics. A Chevy spokeswoman declined to comment.